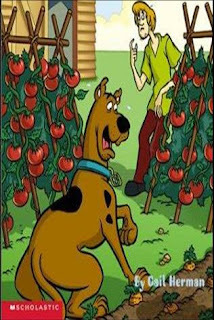 Campaign for a Commercial-Free Childhood: Scooby-Doo Salad? No Thanks. by Susan Linn, Ed.D. Scooby-Doo Salad? No Thanks. by Susan Linn, Ed.D. I happen to know a five-year-old fan of SpongeBob SquarePants who told her father, in no uncertain terms, that SpongeBob mac and cheese tastes better than any other macaroni and cheese. It turns out she was right—sort of. A recent study from the Rudd Center at Yale found that characters like Scooby-Doo and Dora the Explorer actually influence how children experience the taste of junk food, as well as their choice for a snack. The study provides more evidence that marketing can trump children’s senses. Last year, researchers at Stanford found that children believed that food wrapped in McDonalds packaging tastes better than food wrapped in plain wrappers. What interests me most about the Rudd Center study, however, is that it found no statistically significant evidence that media characters have an impact on how children experience the taste of carrots. That’s important news for policy makers. It’s the fashion in some nutrition circles to advocate for using media characters to market healthy or “healthier” food to children, but that has never made sense to me. It’s not good for children to get in the habit of choosing food—any kind of food—based on which character is on the package. Meanwhile, market research suggests that parents are not swarming to buy branded produce. A 2008 survey found that half of parents said that cartoon characters on packaging would not affect whether or not they buy produce—and almost 30 percent said that they “probably” or “definitely” would not buy character branded fruits and vegetables. The same survey showed that while sales of branded produce increased when the products were first introduced, sales declined as much as 67 percent over the course of a year. One thing is clear: we can’t rely on corporations to stop using characters on junk food packaging. Such marketing is increasing, not decreasing—in spite of food industry pledges to responsibly address the childhood obesity epidemic. Instead of turning carrots into shills for Scooby-Doo, we should be helping children develop relationships with food that have to do with taste and nutrition, not celebrity. Government restrictions on food companies’ use of characters in marketing to kids will afford parents more freedom to shape children’s healthy eating habits. I wonder whether there's a legal or regulatory approach to be taken to eliminate or reduce the use of branded characters. I know that some advocates have tried suing junk food manufacturers for deceptive advertising - I'm unaware of how those suits have fared. However, I don't understand why the Federal Trade Commission wouldn't have jurisdiction to regulate the use of branded characters as a form of deceptive advertising. It seems to me that the legal standards for what constitutes "deceptive" should be different from kids & adults -- kids lack much of the the ability to distinguish that adults have. It seems to me that the use of branded characters to market to kids is inherently deceptive. Much has been written on this topic. I hosted a legal symposium in 2006 in which attorney Angela Campbell argued for legislation to restrict cartoon and character licensing. More recently, the Rudd Center's Jennifer Pomeranz has written about how the FTC has the legal authority to regulate food marketing to children. It's not so much a legal problem as a political one. We need to put more pressure on the Obama administration to take action. In Brazil, where I live, there has been a public discussion about wether restricting publicity of junk foods aimed at children would be a solution or not. The decision is about to come. But the health authority already restricts images of characters in food labels. That is a good example to follow. "We should be helping children develop relationships with food that have to do with taste and nutrition, not celebrity." Truer words never spoken. When people know what real food is, they won't need to look to celebrities (real or imagined) for food affirmation. Teach children well, by your example. If you blogged/wrote about this already recently, I missed it, but I do wish more was being discussed about PBSkids' Chuck E. Cheese advertising partnership. My friends' toddler now begs to go there, even though she's never been to one, just b/c of the ad placement during her PBSkids shows. My friends find this pretty frustrating.